The Snooper S4 then compares your position using it's built-in GPS antenna, with the position of every known fixed speed monitoring system and accident 'hotspot' alerting you both audibly and visually via a speaker and it's LED text display ensuring your highest concentration at all times. Snooper S4 neo has been discontinued. Accessories are still available for your Snooper S4 neo click here. 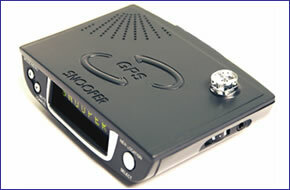 Utilising the very latest Global Positioning Satellite (GPS) and laser technology the Snooper S4 neo has been specially designed to help you drive safely within the confines of today's speed limits, by alerting you quickly and easily to the presence of Police speed traps, often located at Accident Blackspots, electronically indicating potentially dangerous and hazardous situations. The Snooper S4 neo speed camera detector will alert you visually via a bright LED text display and audibly with a voice alert so that you do not even have to take you eyes from the road! Both alert patterns will indicate the type of location you are approaching as well the Speed Limit on that stretch of road. The Snooper S4 neo LED display will also count down your distance to the trap from 1000-50m. The voice alert can be switched to a loud piezo bleeper if preferred. The Snooper S4 neo is also equipped with a user selectable speed limit alert system so that the device can be programmed to alert you to any pre-determined speed you choose. Acting as a constant reminder of the current speed limit. The Snooper S4 neo, like all Snooper speed camera detectors, gets it speed camera data from the Snooper AURA speed camera database. The database provides advanced warnings to both fixed and mobile speed camera locations across the UK, Europe and in a growing number of other countries across the World. The database is constantly updated with the latest locations. Click here to read more about the AURA speed trap database. The Snooper S4 neo is the World's smallest combination GPS Safety Alert System and the only system available with built-in 360 degree laser detection! As both technologies are incorporated in the one unit, installation is simple. Mount the device in a suitable position on the dashboard or windscreen and connect it to the vehicles cigarette lighter socket with thepower cable provided, then switch it on. It really is as simple asthat! The Snooper S4 neo ultilises the UK section of the AURA database. To access the AURA database, you simply connect the Snooper S4 neo to a compatible PC and this concise database can be downloaded in a matter of minutes! To download and successfully update the Snooper S4 neo's GPS speed camera database, you will need a PC running either Windows XP (32-Bit), Windows Vista (32-Bit), Windows 7 (32-Bit) with an internet connection. Please note: the S4 neo, as with all Snooper products, is not Apple MAC compatible. Want to add accessories to your Snooper S4 or S4-R neo? We sell a vast selection of genuine Snooper parts and accessories. Question: I've not long ago bought a Snooper Neo S4 Radar/Camera detector but cannot get it to lock on to satellites inside my Range Rover sport, is there an external antenna that will fit? Answer: Snooper S4 neo accessories can be viewed and purchased online here. You’ll see that unfortunately there is no GPS antenna available for the Snooper S4 neo. The only speed camera detector we sell with a port/connection for a GPS antenna is the Cheetah c550. Cheetah c550 can be viewed and purchased online here. Do you have a question about the Snooper S4 neo? Submit your question via our contact page.